The Key to success is to have a simple heart even if we may be embroiled in the most complicated circumstances of this material world which sometimes we get implicated in sometimes. Conflicts come among loved ones sometimes difficult economic situations sometimes natural disaster’s could make life extremely complicated to deal with things and the Bhagavat Gita tells we should not run away from complication’s we should not run away from challenges but we should face them with the simple heart, a heart of devotion a heart of integrity and character a heart of seva love and devotion to our lord to Krishna and we can do that a simple heart can face at every situation affectively and grow – Radhanath Swami. We live in a world of complexities—complex economics, complex relationships, complex mindsets. Most of the time our tendency is to look for complex solutions. And like a spider in a web—the more it tries to get out, the more it gets entangled—we find ourselves in a more complex situation than what we started off with. In this audio clipping, Radhanath Swami gives an alternative, the actual path to success, and that’s simplicity. Simple solutions to life’s complex problems. 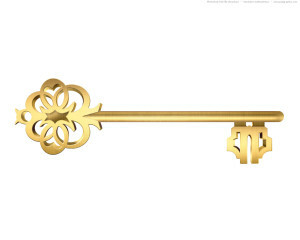 2 Responses to "Key to success"
Key to success is simple heart. Such a simple technique by Radhanath Swami. Wonderful message for being successful.